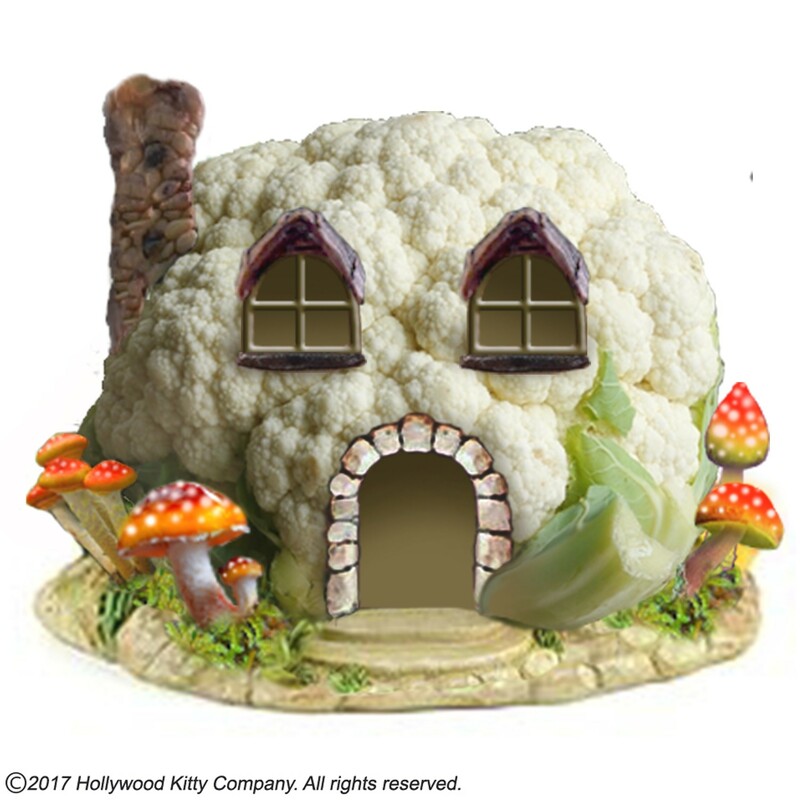 This whimsical 2-level cauliflower-themed small animal habitat features steps leading up to the 2nd level. For hamsters, dwarf hamsters, mice, and gerbils. The unit separates into 3 parts for easy cleaning. Resin cast, hand-painted. Price includes shipping costs!